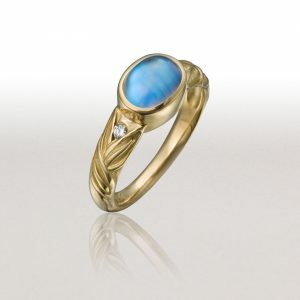 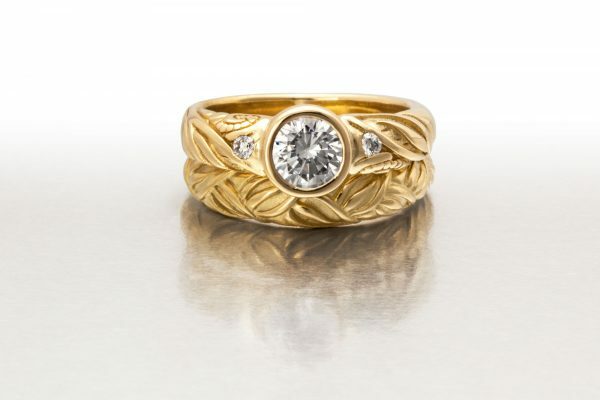 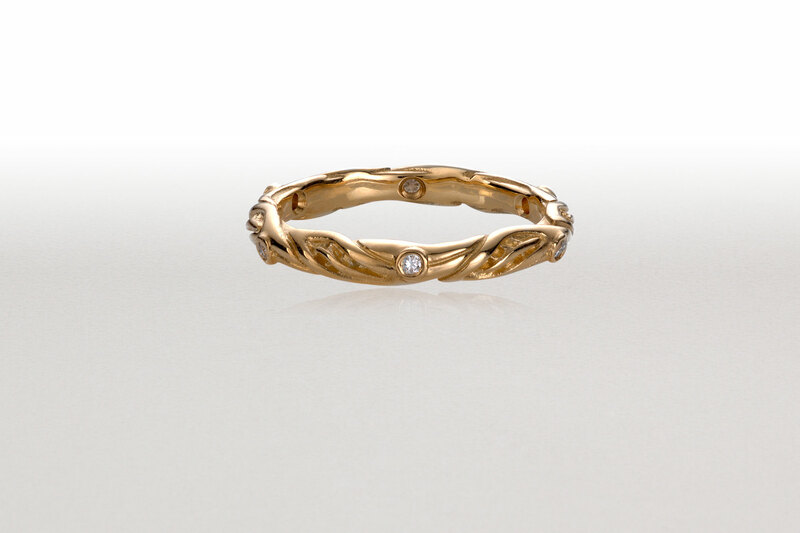 This romantic ring is graced with leaves and ferns and a full bezel for the center stone. 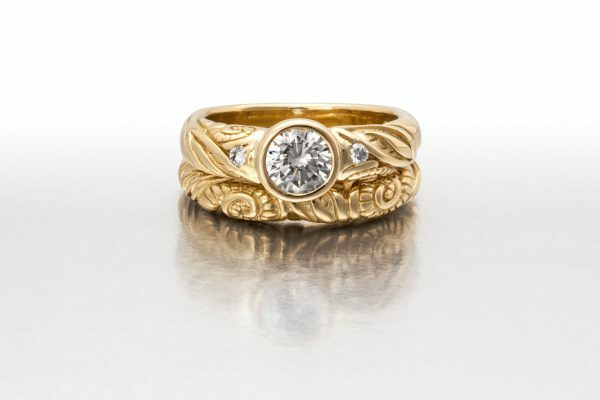 It’s priced without the center stone. Diamonds, sapphires and other stones of color look beautiful in this setting. The bezel for this 18k ring fits a 5.5mm-6mm diamond or other colored stone. 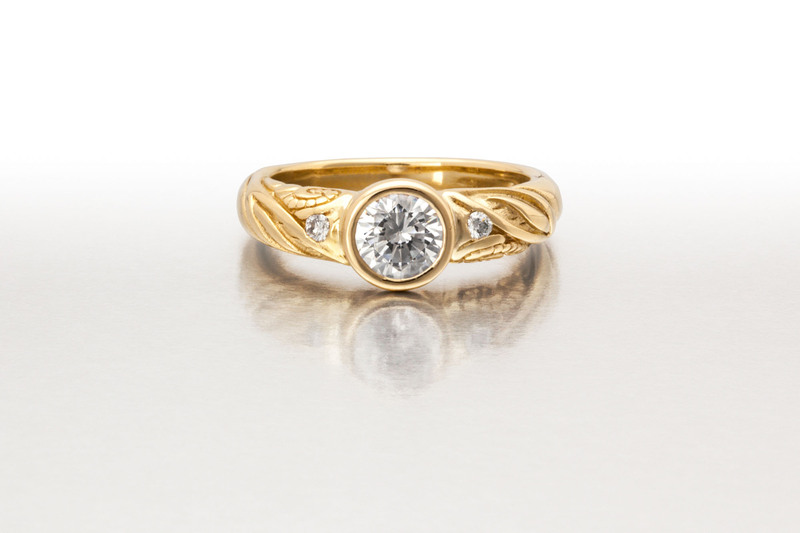 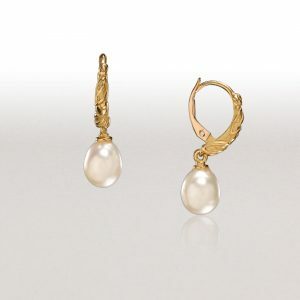 Included are two .03ct accent diamonds. 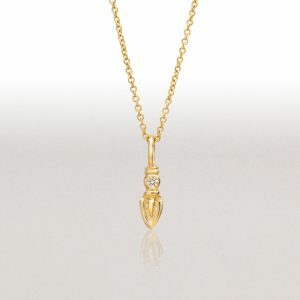 Order in yellow, white or pink gold.